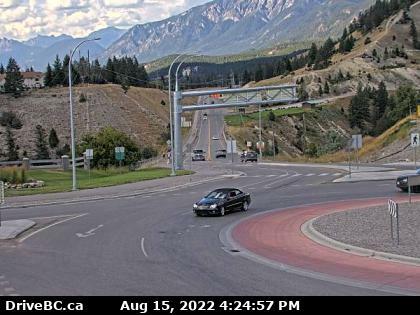 Canyon RV Resort & Campground - Radium Hot Springs, B.C. 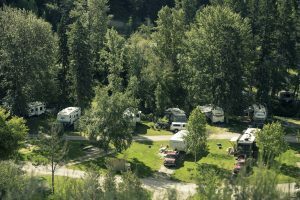 Canyon RV Resort & Campground; Fall asleep to the sound of the Sinclair Creek, located in beautiful Radium Hot Springs, BC in the Columbia Valley. Canyon RV Resort & Campground has been a family-run campground for generations, catering to families and seniors looking for a quiet and carefully maintained park. Their team make every effort to screen out the party crowd, so that their guests can enjoy the beautiful grounds and enjoy the sounds of the Sinclair Creek and get a quiet night’s rest. Canyon RV Resort & Campground no longer offers tenting or un-serviced RV sites. All rates are based on up to 4 adults and 1 vehicle per site. All site include firepits and picnic tables. Please note no tents are permitted on any site at Canyon RV Resort & Campground. Canyon RV Resort & Campground offers longer term rentals, they must be a minimum one consecutive month stay, and a 50% non-refundable deposit required to secure one, with the balance due on arrival. If longer term interests you please contact the Canyon RV Resort Reservations Team during the first two weeks of February.